Tivoli Avenida Liberdade Lisboa is no more than 30 minutes away from Lisbon's airport. It is also only one kilometer away from the Rossio Train station and 200 meters to the Avenida Underground station. East of the city, you can find the brand new Parque das Nações (Expo'98) with a variety of leisure attractions, including the Oceanarium. Tivoli Avenida Liberdade Lisboa iconic locale places it at the very heart of Lisbon. Known as an infamous meeting point, the hotel stops at nothing to impress each and every soul to walk through its doors. The views from the 308 gorgeous guest rooms are stunning, overlooking the city and stretching out to the sea beyond. Wireless internet, individual reading lights, and iHome are just a few examples of the attention to detail paid to all accommodations here, where typical Portuguese colors - vibrant and full of life - complement refined furnishings and elegant touches. Rejuvenation awaits at the Anantara Spa, a tranquil space offering unique wellness journeys for mind and body. Guests can enjoy traditional rituals and full-body massages, along with innovative therapies and natural products. With a winning combination of panoramic views, hip surroundings and an eclectic cuisine and bar menu, SEEN Lisboa is the perfect spot for wining and dining. The expertly crafted cocktails signed by the Head Bartender, Lucas Jaques, are just one of the perks lovers of the art of mixology can enjoy. For guests who bore quickly of golf, swimming in the pool, working out, or going shopping, try exploring the city itself. Stroll through typical Portuguese neighborhoods like Alfama or Bairro Alto, hop on board a tram, take a boat along the river, or try using Lisbon's underground. The stations' works of art by well-known Portuguese artists would be a shame to miss. Send an availability request with your requested dates to the Tivoli Avenida Liberdade Lisboa. Features classical design, views of Lisbon or the hotel patio, twin beds, bathroom with walk-in shower. 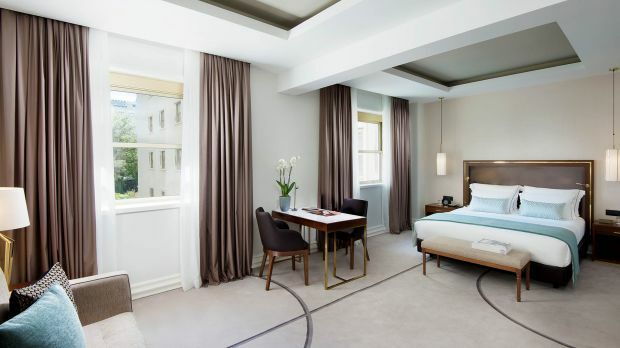 These 23m2 rooms have a classical design and views of the city of Lisbon or the hotel patio. Located on floors 1 and 2 of the hotel, they have a double bed, a desk with two chairs and a fully equipped bathroom with walk-in shower. Guests also have a safe, bathrobes and slippers. Located on floors one to eight with views of the hotel courtyard. Features include a double bed, desk with two chairs, bathroom with walk-in shower or bathtub. Located on floors three to five with views of the hotel patio, twin beds, bathroom with walk-in shower. Located on floors three to seven of the hotel with views over the city of Lisbon, twin beds, bathroom with walk-in shower or bathtub. 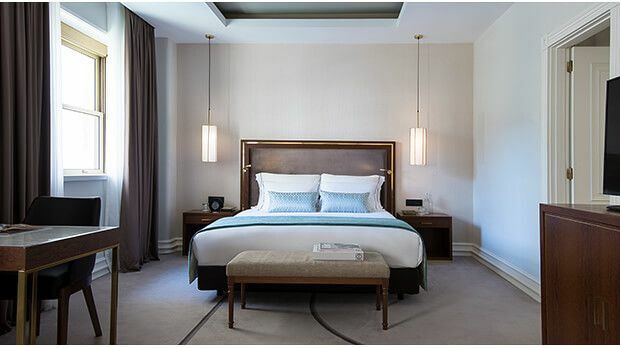 Located on floors 1 to 8 of the hotel, these rooms of around 23m2 have views of the city of Lisbon. Classical in design, they have a double bed, desk with two chairs and a fully equipped bathroom with walk-in shower or bath tub. Guests also have a safe, bathrobes and slippers. Features 1 Double or 2 Twin beds, desk with two chairs, fully equipped bathroom with walk-in shower and bath tub. Located on floors 1 and 8 of the hotel. Features 1 Double or 2 Twin beds, city views, desk with two chairs, fully equipped bathroom with walk-in shower or bath tub. Guests also have a safe, bath robes and slippers at their disposal. Spacious rooms with twin beds, sofa bed, views of the hotel patio, living area, fully equipped bathroom with walk-in shower and bathtub. Features Double or Twin beds, views of the city or hotel patio, desk with two chairs, fully equipped bathroom with walk-in shower and bath tub. Located on floors 1 to 8. Features 1 Double or 2 Twin beds, sofa bed, views of the hotel patio, living area, fully equipped bathroom with walk-in shower and bath tub. Guests also have a safe, bathrobes and slippers at their disposal. Features 1 Double bed, city views, separate living area with sofa bed, fully equipped bathroom with walk-in shower and bath tub. Guests also have access to daily tea, VIP lounge and floor manager. Located on floors 1 to 8. Features Double beds, separate living area, fully equipped bathroom with walk-in shower and bath tub and city views. Guests also have access to daily tea, VIP lounge and floor manager. Located on floors 1 to 8. Located on floors 1 to 8, these classically designed suites provide exclusive services of daily tea, access to the VIP lounge and floor manager. Around 45m2 in area, these spacious suites with views of the city, Avenida or patio, have a bedroom with double bed, separate living area with sofa bed and fully equipped bathroom with walk-in shower and bath tub. Located on floors one to eight with views of the city or Avenida, double bedding, separate living area and bathroom with walk-in shower and bathtub.